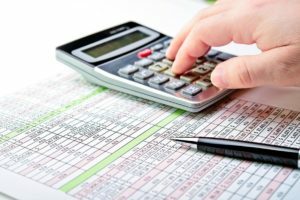 For reasons that are quite understandable, may programmers and software developers are particularly receptive to making use of online tax programs or other computer-based tax software. While “dog fooding” is certainly a popular and effective concept in the software industry, employing this concept on your taxes is generally a less than prudent approach. Consider for a moment that the IRS reserves the right to audit your taxes at any point for at least three years. Should you be suspected or accused of making significant understatements or other serious problems with your taxes, you can face an audit for up to six years. Should you fail to file, the IRS has, theoretically, an unlimited amount of time to bring an audit or investigation against you. Therefore, making sure your taxes are done right the first time is essential if you hope to reduce the odds of an audit down the line. Furthermore, working with an experienced tax professional who will only take safe, supportable tax positions is also helpful. Furthermore, since the positions you take when working with a tax professional are documented, should you face an audit you will have the materials you need to support your tax filing. Ted Kleinman of US Tax Help has more than 30 years of experience working as a CPA and can handle your personal or business tax filings for you. To arrange for a “no cost” consultation schedule an appointment or contact US Tax Help online today. 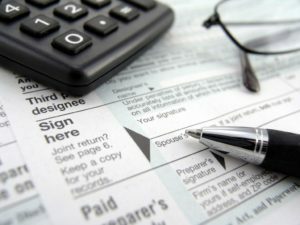 For some individuals, using online tax software can be effective in the short-run. However, by and large, tax software is coded to address and cater to common tax scenarios and situations. Therefore, if you have a single source of income in a standard employer-employee relationship where a W-2 is issued, tax software might be appropriate for your situation. However, if you have multiple sources of income, your own side business, significant life events like the birth of a child or a marriage this software may miss certain important facts and aspects of your situation. Another problem with tax software is that it is seeming being programmed to be increasingly aggressive regarding deductions and credits. The software will prompt for a myriad of ways to save on your taxes even when they aren’t particularly appropriate or likely. Unfortunately, these prompts for large savings can tempt individuals into claiming credits and exemptions that cannot be supported. Furthermore, should you decide to claim deductions from a business, the software doesn’t look at your receipts and other documentation. That means individuals may be tempted to take short cuts and “ballpark” their business expenses which often leads to inflated or inaccurate numbers. This can lead to major complications down the line should you face an audit. Working with a tax professional serves as a built-in check to this type of behavior. One other common problem with tax software is the fact that much of the help provided is only accessible if you have an overall understanding of the tax code along with a working knowledge of the vocabulary. Even if you do find a responsive FAQ entry, the advice will only be generalized in nature and will not apply to your situation. Therefore, you will need to determine how to square the generalized advice with your particular facts and circumstances. Are Software Developers Working in the US on an H-1B Visa Required to File Taxes? 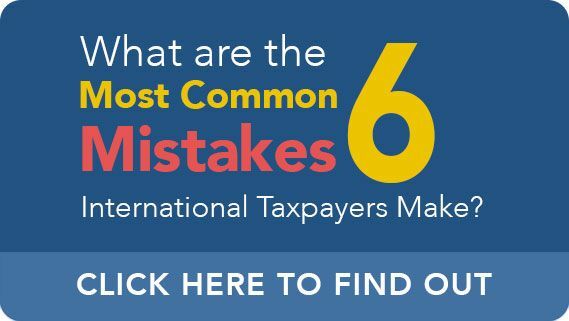 Yes, in most cases individuals in the United States and working under an H-1B visa are required to file their U.S. income taxes. If you have been in the country for the entire year, you are almost assuredly going to file as a resident alien. However, if this is your first year in the U.S. and you have spent at least 183 days in the country, thus satisfying the substantial presence test, you will musty likely file as a dual-status alien for tax purposes. The rules around your tax status can get fairly complex and have a significant effect on your tax treatment, so it’s ideal to work with a tax professional who can explain these rules and obligations to you. If you are a software developer, you may have multiple sources of income or may even be seeking to launch your own product or solution. Ted Kleinman is a CPA with more than 30 years of experience who can thoroughly address these and other tax concerns. Before you decide to use a tax preparation solution that may not be responsive to your situation, call Ted Kleinman for personalized, one-on-one tax guidance today by calling US Tax Help at (541) 923-0903 today.